Concerning the picture above. One sanctimonious arse doesn't belong there. Hstead and OhioState001 like this. Morning Constitutional: What Has Ryan Day Learned as Head Coach? Ryan Day received a sneak preview of life as Ohio State’s head coach last summer. He went through fall camp as the Buckeyes’ head coach and prepared the team for their first game without Urban Meyer. And then when Meyer was allowed back with his team, it was still Day on the sidelines leading the charge for the next two games. In those seven or so weeks, Day made it a point to spend time getting to know the players on offense and defense. He would stop by Chase Young’s locker and catch up, or stop Dre’Mont Jones in a hallway and ask how he was doing. As Jim Tressel used to say, players don’t care how much you know until they know how much you care. Day put time in with the team to let them know he was there for them and if they needed anything, they had a place to go. 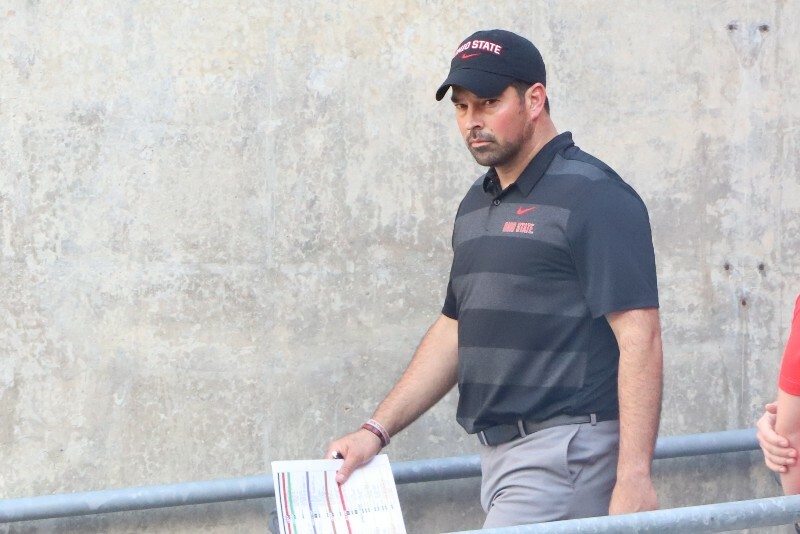 That was just a glimpse of the realities of being a head coach for Ryan Day, but it didn’t scare him away or make him long for the more formulaic life as an NFL coach. And from hearing him talk of what he has learned in these nearly seven weeks as Ohio State’s new head coach, the relationships he built in the summer have only grown in the winter. Ryan Day is the HC of The Ohio State Buckeyes. MD Buckeye, Wells4Heisman, bukIpower and 3 others like this. bukIpower and Lurker11 like this. Two daughters and no gray hairs. He's superhuman. pianobuck46, Buckerooni, MD Buckeye and 4 others like this. Three daughters and no gray hairs. He's superhuman. They're still pretty young. Won't last! MD Buckeye, zbuck, Thump and 3 others like this. Day will get his gray hairs soon. Jagdaddy and brodybuck21 like this. Buckerooni, pnuts34, Bestbuck36 and 1 other person like this. 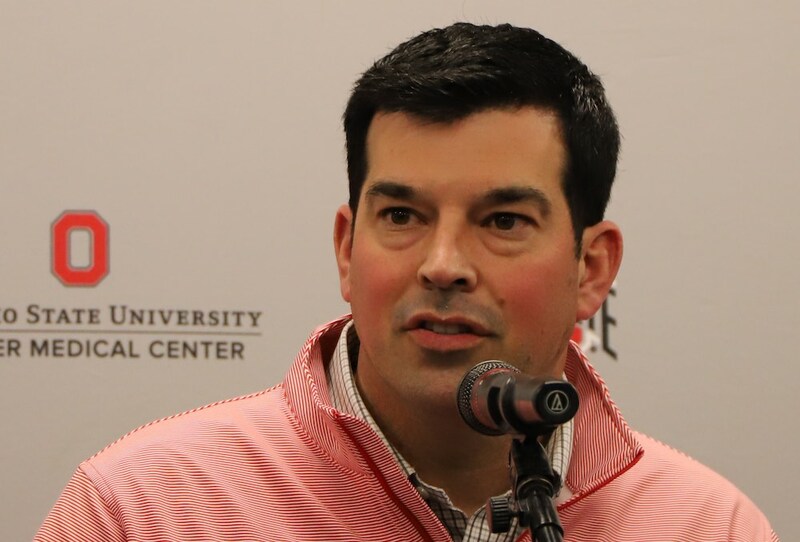 CAN RYAN DAY MOTIVATE HIS OHIO STATE FOOTBALL TEAMS THE SAME WAY URBAN MEYER DID? 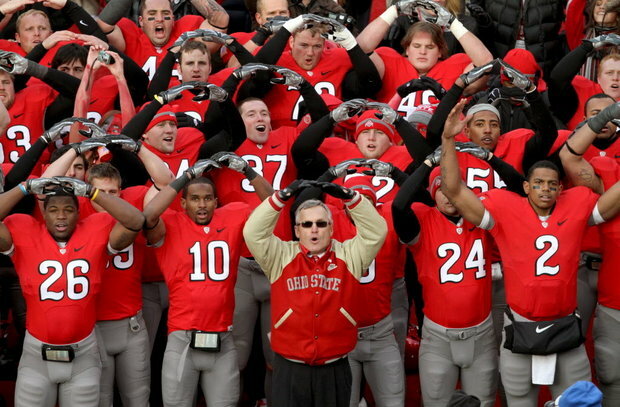 Throughout the course of the 2006 season, Ohio State seemed destined to go wire-to-wire as college football's best team. The Buckeyes came into the year ranked No. 1 on the strength of an offense that featured eventual Heisman Trophy winning quarterback Troy Smith, wideouts Tedd Ginn and Anthony Gonzalez and running backs Antonio Pittman and Beanie Wells. The defense lost nine starters but had young guns like James Laurinaitis and Malcolm Jenkins primed for breakout years. They bulldozed their way through the regular season, beating a pair of No. 2 ranked teams in Texas and Michigan, and boasted an average margin of victory of 26 points heading into a BCS National Championship Game appearance where they were a touchdown favorite. That's where the Buckeyes ran into the buzzsaw Urban Meyer created. Most don't need reminded of Florida's 41-14 demolition of Ohio State. Ginn returned the opening kickoff for a touchdown, but Meyer's Gators responded with 24 unanswered points before the Buckeyes got off the mat. Ohio State had one of the most prolific offenses in college football that year, but on that January night in Glendale, Arizona, it was held to a meager 82 total yards, and the Heisman Trophy winner completed just four passes and netted six total yards. A lot of things went wrong for the Buckeyes that night, but it was clear very early the team wearing blue, orange and white were playing with a different edge. It wasn't supposed to be that way. In the month leading up to the title game, hardly anyone gave Florida a shot. Meyer used that to his advantage. "I'd like to thank all those people," Meyer said of Florida's critics. "Our pregame speech was easy." Those critics were highlighted in more than a pregame speech. During Florida's bowl prep, Meyer created a literal bulletin board filled with articles and quotes that doubted the Gators. The head coach wanted his team playing angry, and he spent the month leading up to the title game making sure he got his wish. "Nobody never gave us a chance at all. We came here with a chip on our shoulder and something to prove," Gators receiver Dallas Baker said. "Nobody gave us a chance, but finally we can throw up the No. 1." I remember that game so well. I was lucky enough to see that team in person twice in '06.......the Bowling Green game and TTUN. Leading up to Glendale, something seemed amiss. The fire was gone, as if beating Xichigan was the only that mattered, Anthony Gonzalez couldn't have care less who they played in Glendale, Troy Smith's Titanic-esque post Heisman statement "nothing can stop me now", and Alex Boone and his buddies seeing how many times they could stuff themselves on In-And-Out burgers leading up to the game. On game night, the Buckeyes came out on the field totally flat, in contrast to the Gators, who obviously were pumped to the maximum. Everybody knows the rest. One of the greatest teams in Ohio State history had lost their focus. 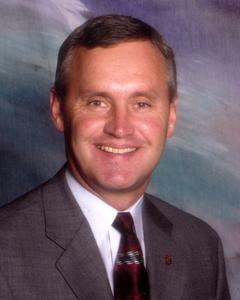 For the first time I can remember, Tressel seemed completely helpless. Another interesting side story..........on the Saturday leading up to the Bucks/Gators game, Boise State dismantled Oklahoma in, I believe, the Fiesta Bowl. Shelley and Urban were watching the game, and Urban fell asleep on the couch, missing virtually the entire thing. Afterwards, Shelley said, "Hey, you just missed the best game I ever saw." Urban's reply? "Yeah...wait until you see us." Both Tressel and Meyer stand, along with Woody, as the greatest to ever coach at tOSU. Ryan Day has his work cut out for him to be sure, but all indicators say he's up to the task. Time and change will surely show.